Voted best eco-lodge in the Eastern Cape, The Dunes is a four-star luxury lodge located in a 600 hectare private nature reserve in St Frances Bay. Involved in an exciting wetland rehabilitation project that has revived a population of threatened frogs and toads, they are also guardians of a 25km ancient coastal dune system with its intricate middens and shifting sands. Plenty to do - be it the new frog safari, a guided dune field walk, a treatment in the secret bush spa, a visit to the nearby beach with its warm ocean waves and miles of unspoilt coastline - there is almost no need to go out. Great value and fantastic service. The sister product of The Dunes, HillsNek Safaris is a small, luxury tented safari camp on the award winning Amakhala Game Reserve near Port Elizabeth. Tucked away in a secluded corner of the reserve, this is the ultimate flexible safari. Even though you pay a per person rate, the camp becomes your home away from home and is exclusively yours even if there are only two people. There are three spacious and extremely comfortable safari tents in total, with space for two children in each. The activities, all meals and local drinks are included in the rate, and the game viewing is tailored to your individual requrements. A unique destination in the Western Cape just one hour from Cape Town - !Khwa ttu is the only culture and heritage centre dedicated to uniting the remaining San people of Southern Africa. A dynamic tourism project, combining education, skills development and job creation opportunities, !Khwa ttu is jointly owned by the San and the Swiss Ubuntu Foundation offers authentic San guided hunter-gatherer and botanical tours, a restaurant open each day with a menu inspired by Africa, an extensive craft shop and an insightful photographic exhibition. This destination is a must for anyone interested in the history of our rainbow nation. Famous for its tree canopy tour in the Tsitsikamma Forest near Plettenberg Bay, Storms River Adventures was one of the first companies to receive FTTSA certification. 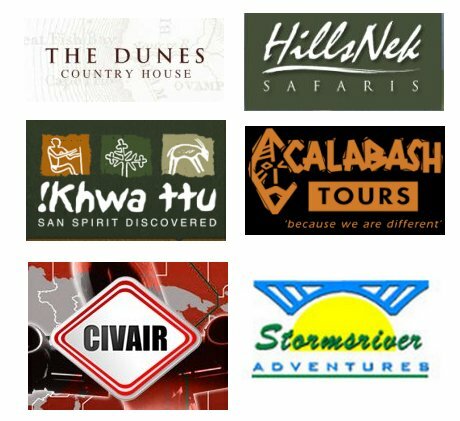 Since then it has gone on to be a winner in the Southern African Imvelo awards, as well as a finalist in the 2008 World Responsible Tourism Awards. At its inception, the company pledged a ten point memorandum of understanding that its business would be there to help with poverty alleviation and environmental conservation in a remote rural area with little in the way of alternative industry. As well as being the closest you can get to flying like a bird, there are now short guided hikes and a more relaxing Woodcutters tour that drives into the forest by tractor for a magical lunch picnic. All three activities can be undertaken for a mere R775.00, not just great value but also a way to enjoy a rare tropical forest. Encounter the rich tapestry of Southern Africa and join Face Africa for an unforgettable journey into a remarkable country, its culture and its communities. Their expertise and in depth knowledge of responsible group travel creates unique and tailor made programmes, making your connection with the continent more meaningful. By selecting the right suppliers and supporting sustainable business practice, the philosophy of Face Africa is that there is no need to compromise on the quality of your holiday to make it responsible. Offering a diverse selection of travel services using fair trade principles as the core focus, they can make your chosen itinerary come to life providing hands on guidance and advice along the way. 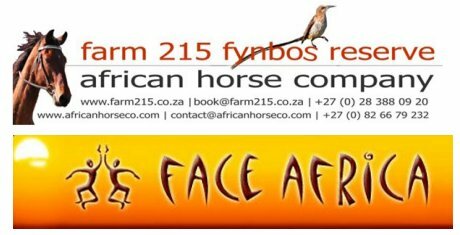 A nature retreat and 4 star luxury guest house located on the “Fynbos-road” between Stanford and Cape Agulhas in the Western Cape’s unspoiled Southern Overberg and partner and base station of the African Horse Company, organising outrides and multi day trails from Stanford to Cape Agulhas. Farm 215 has been set up as a sustainable operation using renewable energy and other sustainable techniques and conserves a vital section of Cape Floral Kingdom. Farm 215 is an active player in the Agulhas Biodiversity Initiative, combining conservation and local economical development into one target. Overall joint winner of the 2004 World Responsible Tourism Award for Best In Poverty Alleviation – Calabash Tours offers community township tours and volunteer projects in the areas around Port Elizabeth, catering for tourists who want to experience true urban Africa, visit our townships and actually meet the locals. This is a genuinely interactive platform that allows visitors to really understand and appreciate the social history of the people, their journey from apartheid and their proud emergence as a democracy. Civair is a fixed wing and helicopter air charter company, and the only aviation company to have a developing responsible tourism policy. With bases at the V&A; Waterfront as well as Cape Town International airport, Civair offers a number of exclusive tours, including a spectacular fly in to !Khwa ttu and a flight training school.